Hop Pickers in 1885 at Runfold near Alton Hampshire. The pictures illustrates how hops were grown on individual poles which were taken down for picking, before the introduction of string and wire to connect up fixed poles. A large supply of hands were needed to pick even one acre of hops. So the tradition of itinerant workers arriving for the picking season was early established. But in the 19th Century with the huge increase in acreage went an expansion in the hop picking “phenomenon” – the mass arrival of families from the East End of London, Portsmouth, Birmingham and other towns for their annual hopping “holiday”.An acre of hops could employ 200 pickers at a time. The migration has been variously estimated at 350-450,000 people, a large proportion into Kent and Sussex. In a country with a population of 8 million people this was a prodigious movement of people, for example compared with itinerant foreign farm workers of the 21st Century. Big hop growers took in 3000 or more pickers. In the early 1800s the pickers earned a penny a bushel, rising to 2d later on. Special trains were laid on from East End Stations. 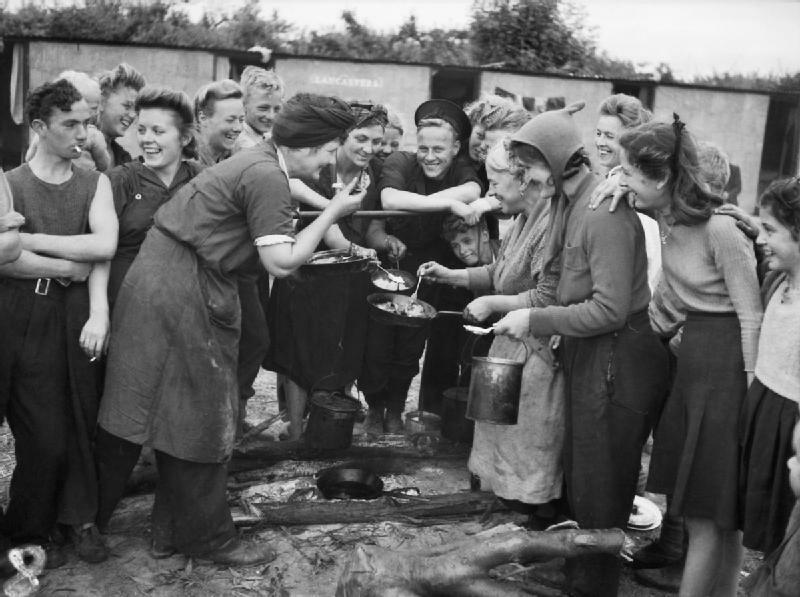 Pickers were housed in very rudimentary huts and sheds around the hop gardens. With so many incomers there were inevitable tensions with the country residents and sometimes drink fuelled violence. Extra Constables were deployed during the season. William Marshall writing in 1798 said that the roads swarmed with strolling pickers “living as much in a state of nature as American Indians or the savages of the Southern Hemisphere” and plundering the countryside. The Oast acted as a social centre during the picking season, especially for the end of season party. Health remained a concern. In 1849 43 hop pickers at East Farleigh who worked for Mr Ellis, the inventer of the press died in a cholera outbreak. A wooden cross in the churchyard was erected “in memory of forty three strangers”. Their names were evidently not thought worth recording. Reports arrived from America in the 1870s of a mechanical hop picking machine, but replacement of the hop pickers by machines did not come until the mid 20th Century. In the 1960s most hop farms still picked by hand. But by the 1980s mechanised picking had almost entirely taken over. 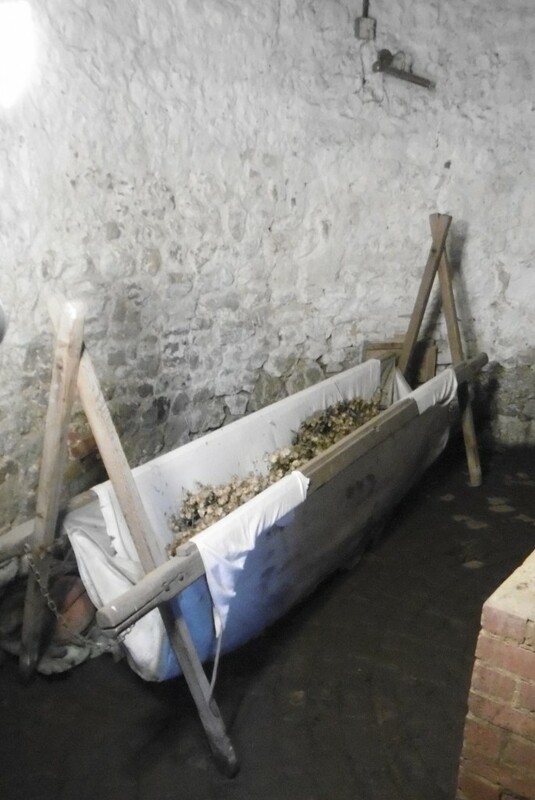 a typical “crib” into which hops were picked. Desplayed at Kent Life Museum, Maidstone inside a round kiln. 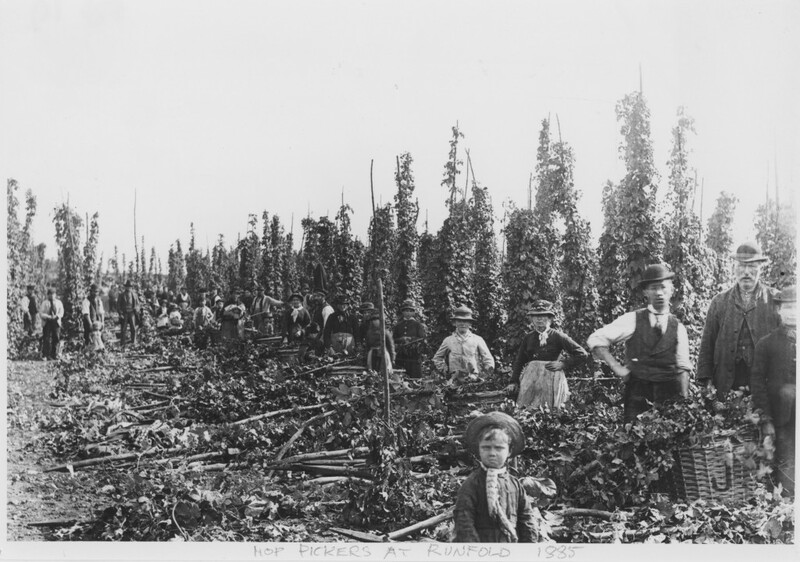 The social history of hop picking has been much more widely studied than hop drying, drawing on the memories of people who went hop picking in their youth. There is a fairly extensive literature on picking. The Age of the Roundal.